7. 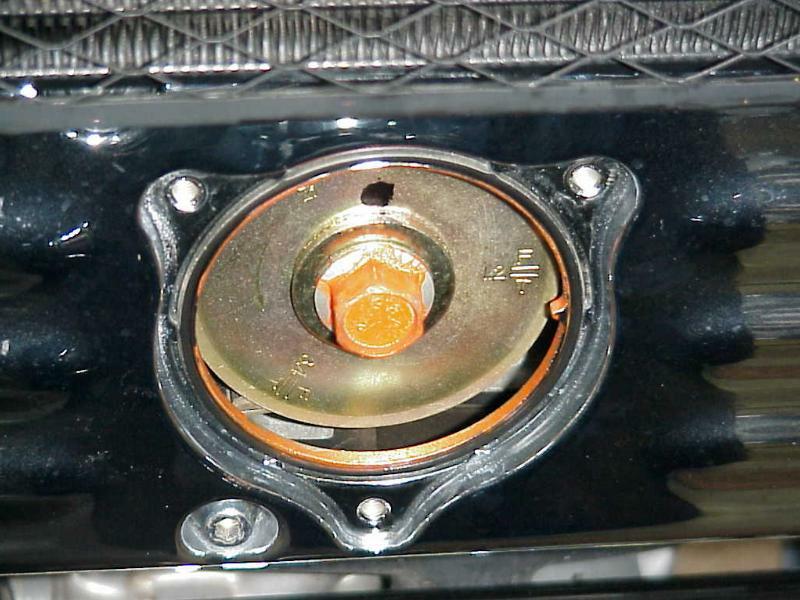 Remove both valve covers (6mm hex) – be sure the washer/sealing ring comes off with each bolt! Hint: Any of the covers removed above may stick slightly and you will need to tap them gently with a wooden or plastic screwdriver handle or the palm of your hand. 11. Insert the correct feeler gauge between the valve stem and the adjuster screw. There should be slight drag on the feeler gauge – be sure that you do not have the gauge canted or curved as you are measuring. You can use the “go, no go” method – a .008in. 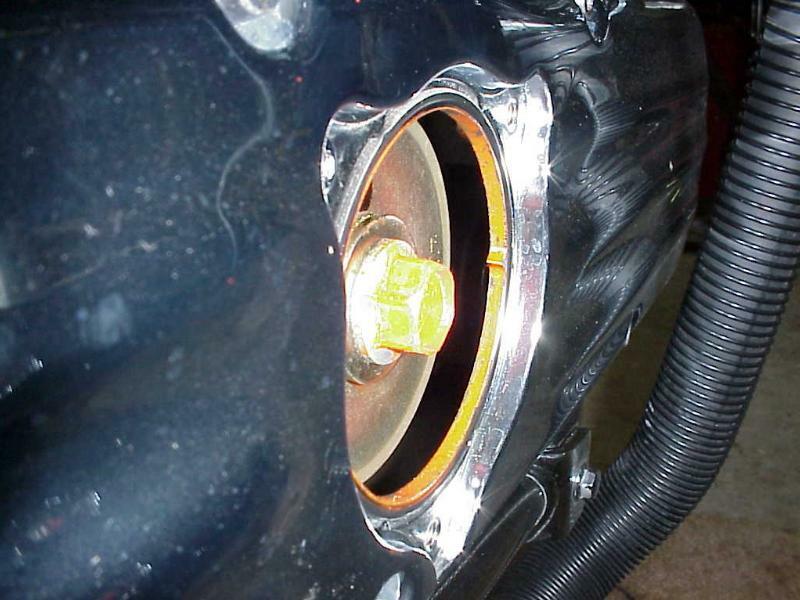 gauge should not go into the .006 intake; a .011 should not go into a .009 exhaust if adjusted properly. A .007 gauge will go into the intake and a .010 gauge will go into the exhaust, but will give a too tight drag. 12. If any valve needs adjusting, loosen the adjuster lock nut with a 10mm box wrench and turn the adjuster screw with a screwdriver to get the correct clearance – slight drag on the feeler gauge. 13. Slide the box wrench over the shaft of the screwdriver and hold the adjuster screw with the screwdriver while tightening the lock nut with the 10mm box wrench. 14. After tightening, double check the clearance. 15. Turn the crankshaft 120 degrees to align the T3,4 at the index mark. Check for wiggle at No.4 valves. Adjust if necessary. 16. Turn the crankshaft 120 degrees to align the T5,6 at the index mark. Check for wiggle at No.5 valves. Adjust if necessary. 17. Turn the crankshaft 120 degrees to align the T1,2 at the index mark. Check for wiggle at No.2 valves. Adjust if necessary. 18. Turn the crankshaft 120 degrees to align the T3,4 at the index mark. Check for wiggle at No.3 valves. Adjust if necessary. 19. Turn the crankshaft 120 degrees to align the T5,6 at the index mark. Check for wiggle at No.6 valves. Adjust if necessary. Hint: You may need to apply a small amount of TRV or similar sealer to each outside end of the cam housing. There are two spots at each end, top and bottom, of the round cam housing where the factory applied some sealant. 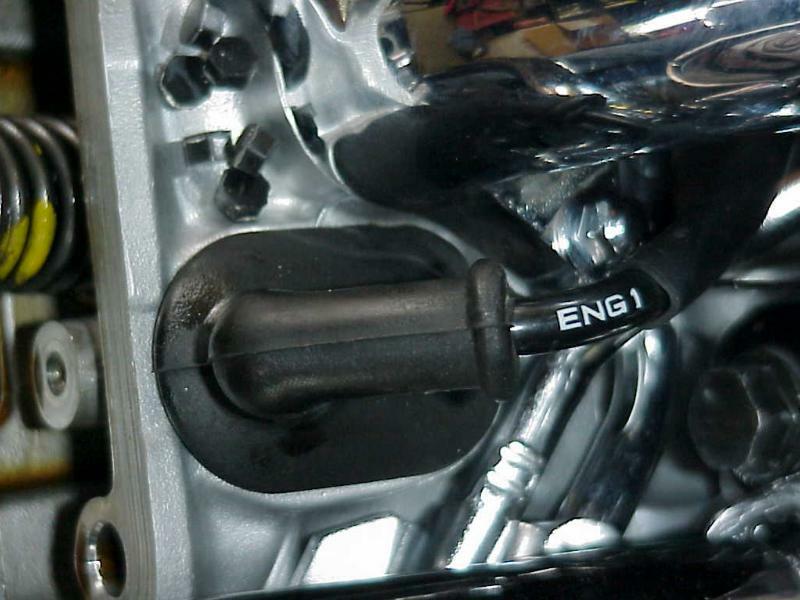 In any case, be sure that none of the factory applied sealant is balled up and potentially keeping the valve cover gasket from sealing tightly. 22. 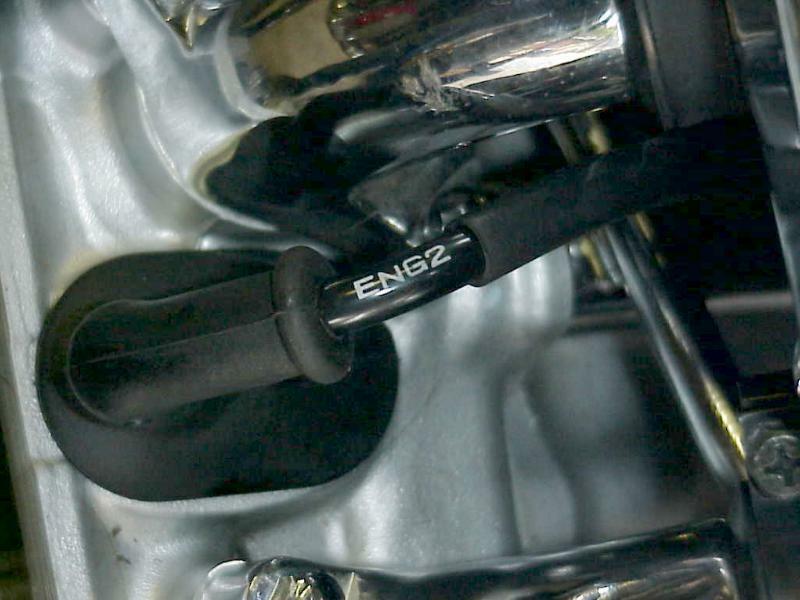 Below and to the front of the right valve cover, remove the two sets of wire cables from the wire holder and gently pull out any extra slack to make it easier to reinstall the right valve cover. Hint: Do not over tighten any of the bolts to the 5 different covers when reinstalling. These are relatively small and fine threaded bolts and could easily break or strip. Keep your palm or fingers close to the head of the ratchet when tightening these bolts. 23. Insert the six valve cover bolts and washers (6mm hex).